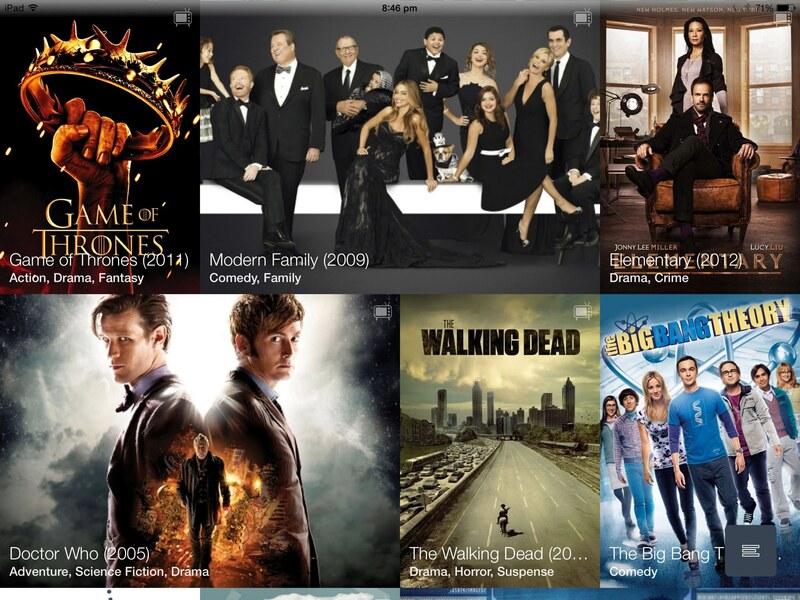 60Hz is one of those apps that make it easy and fun to keep track of your favorite TV shows and movies. There’s certainly no shortage of such software on the App Store as, for example, we previously told you about iTV Show 3, TeeVee 2, Done Not Done, ToDoMovies and a few others. 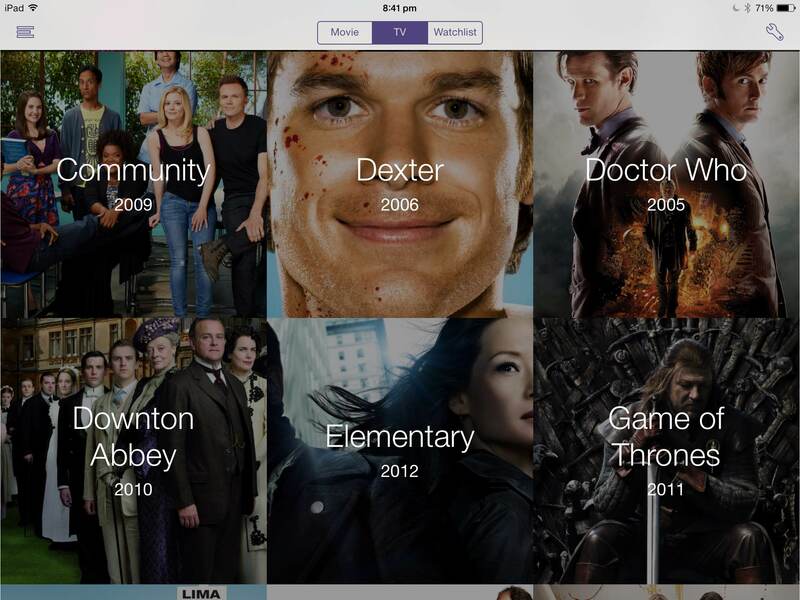 Like other apps, 60Hz notifies you when your favourite shows are playing and makes it easy to browse TV schedule, find out what others are saying about shows, episodes and movies and lots more. 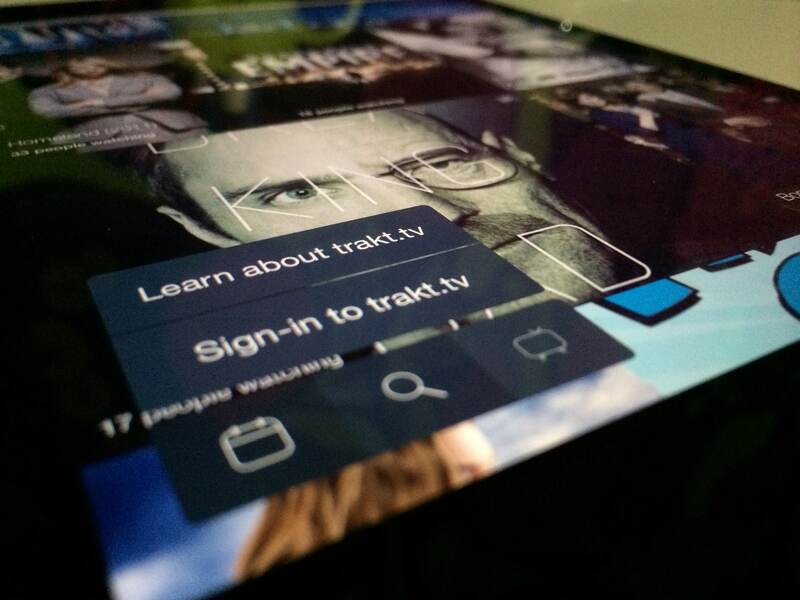 For starters, 60HZ has had trakt.tv integration where you log into the service from within the app to have your activity automatically synchronized with trakt.tv. 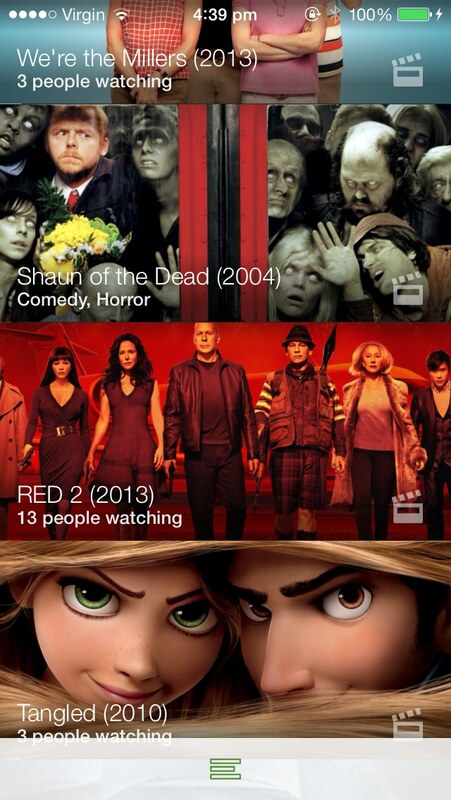 In version 3.0, this feature has been enhanced with a little help from iOS7’s Background App Refresh feature. 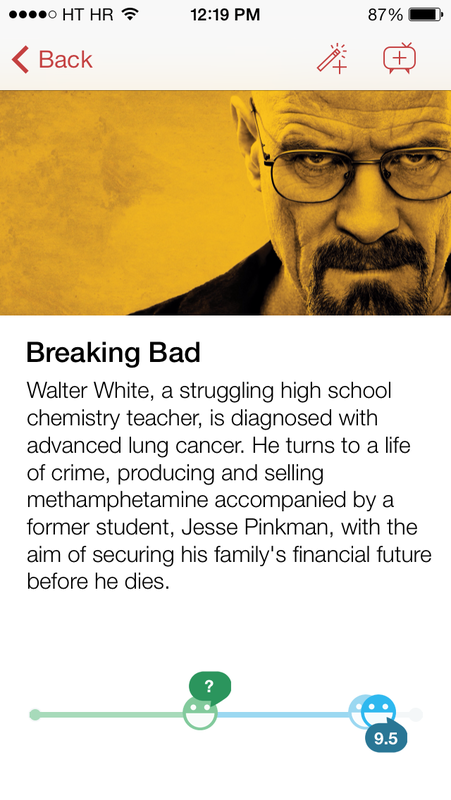 Not only are your shows now kept up to date as soon as you launch the app, you can now check out a list of TV shows and movies others have checked into on trakt.tv by swiping down on show artwork on the main screen. 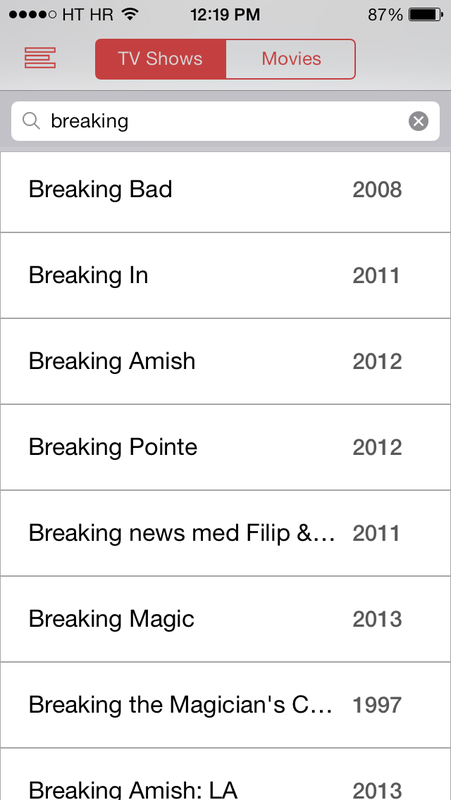 Your collection (the rightmost icon on the toolbar) makes it easy to filter shows by a bunch of criteria, including seen/unseen episodes, previously watched, missed, upcoming, currently airing, shows you’ve not caught up on and more. Next up: the all new trending view. 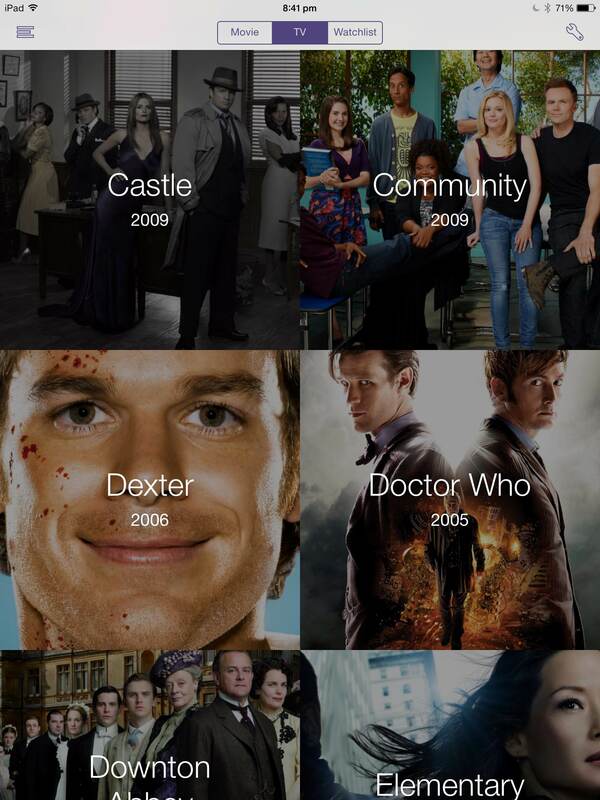 You just pull down on the main next in-line list of episodes to reveal what’s currently trending. 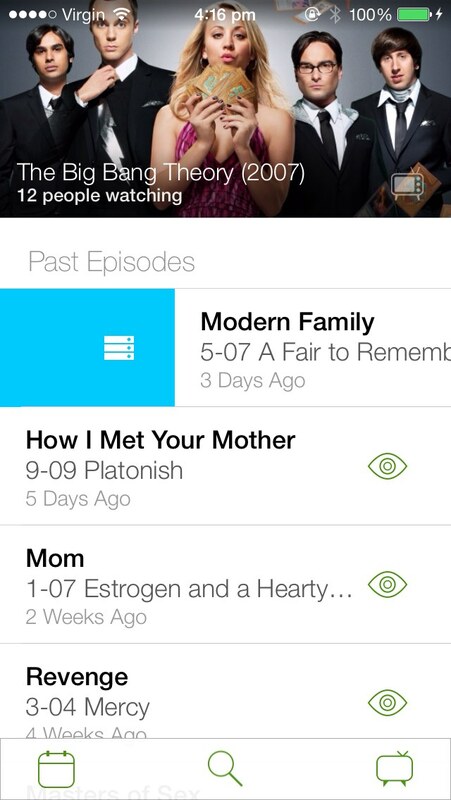 This trending view is a brand new feature (trakt.tv only) and I’m imagining it’ll go a long way toward frictionless discovery of the shows and movies the community on trakt.tv is liking. The third and the biggest enhancement in 60HZ 3.0 is an all-new user interface that’s been completely revamped for iOS7. As the screenies attest, the self-explanatory interface is just gorgeous and focused on large show artwork. It’s also heavy on iOS 7-familiar gestures. 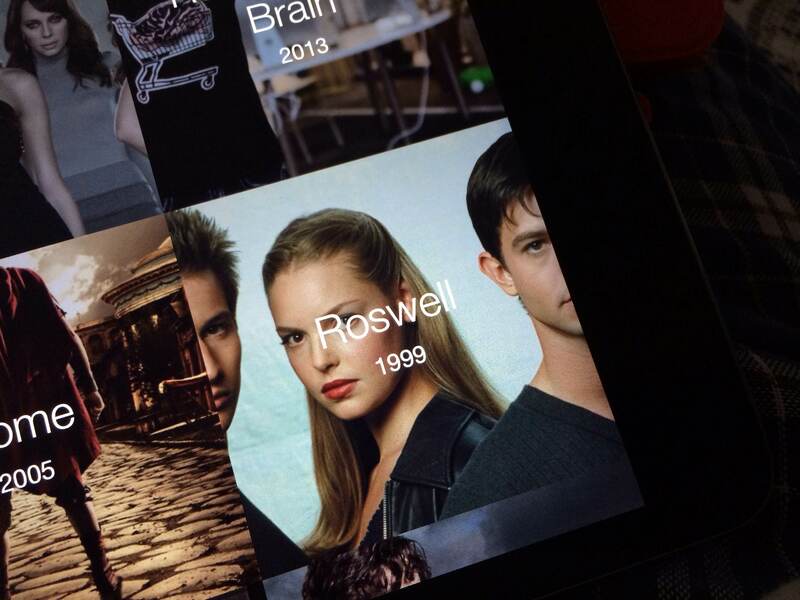 To show more information about the show, just swipe an episode right. 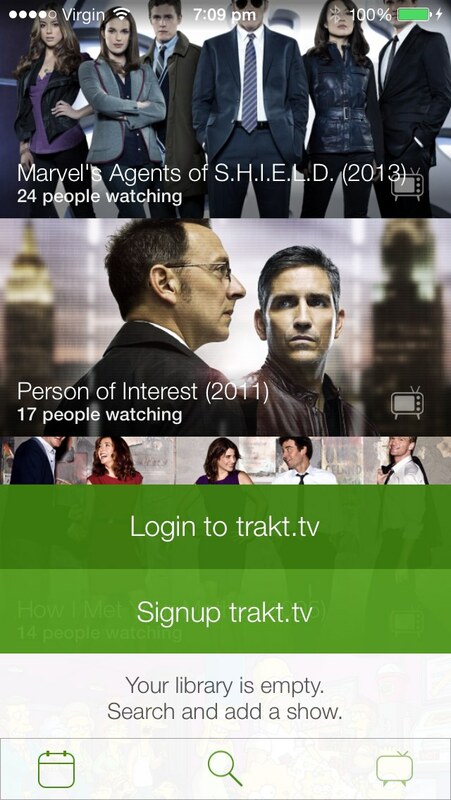 Swiping left in the episode list view will check-in on trakt.tv. 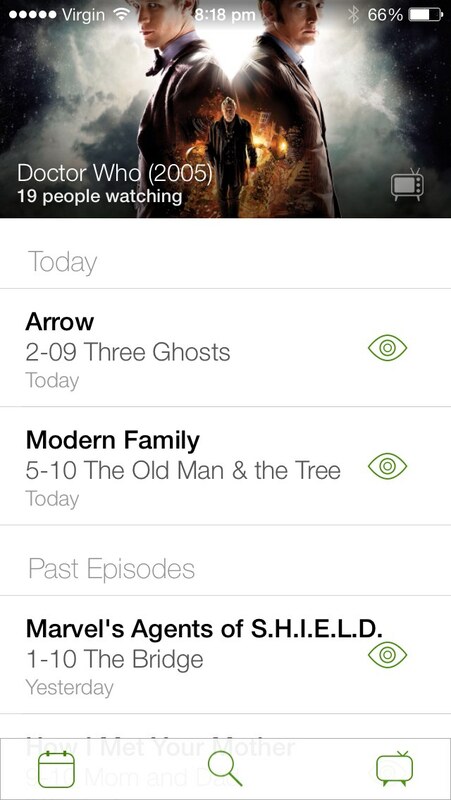 The main screen still lists your upcoming and missed episodes, with a pair of 3.0-specific additions: episodes you’ve marked as watched and episodes airing today. The search bar is no longer at the top and has instead been given a magnifying glass icon on the toolbar alongside the bottom of the main screen. 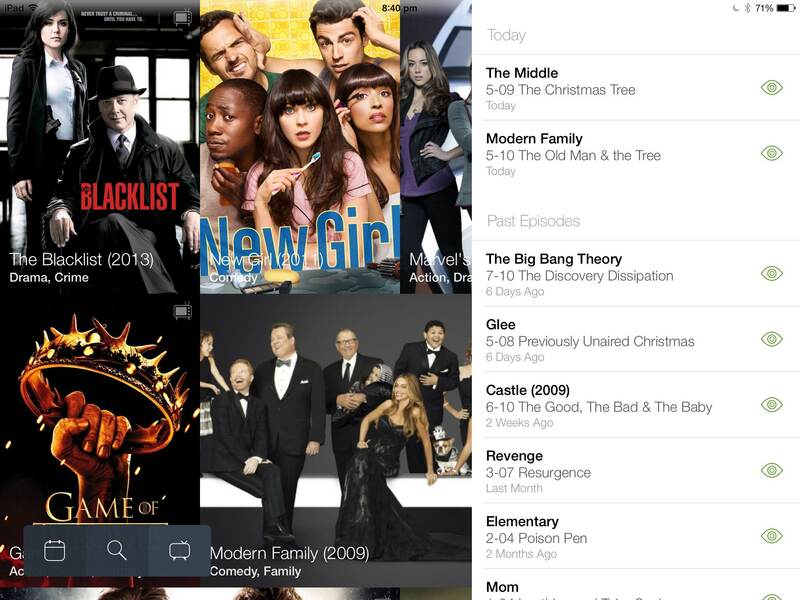 Tap it and you’ll be taken to a new screen solely dedicated to search. 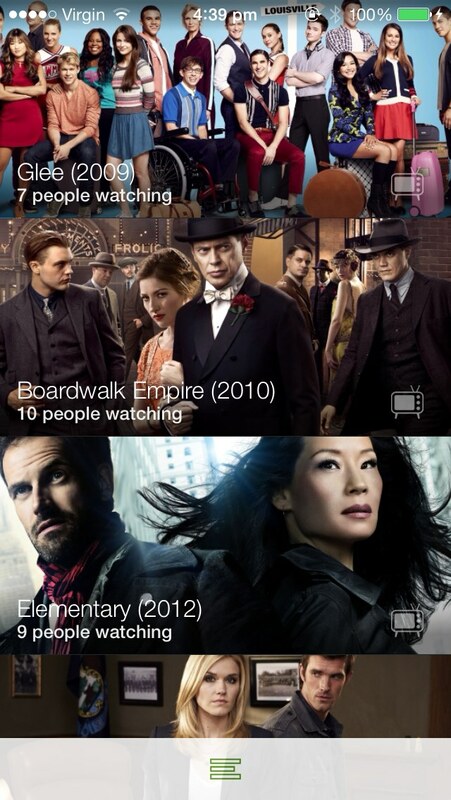 Here, you can search for TV shows and movies, or tap the icon in the upper left (or just swipe) to go back to the main screen. And here’s your weekly schedule (the leftmost icon on the toolbar). 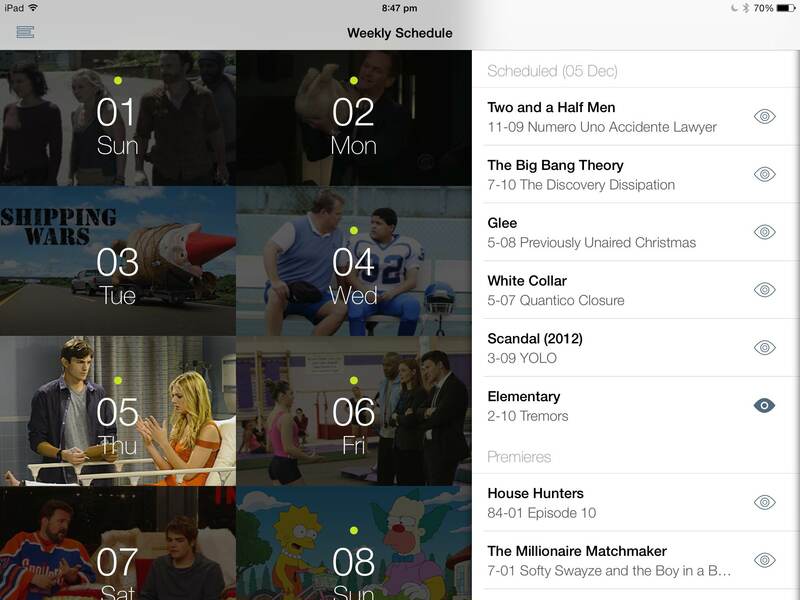 As you can see, not only does the app serve a week’s worth of schedule related to upcoming movies and TV show episodes, you also get to discover any new show that may be premiering that night. 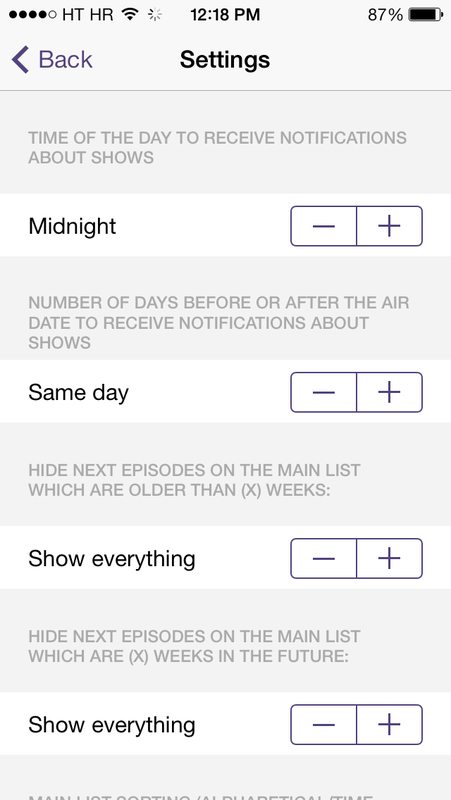 And finally, here are push notifications for upcoming shows and a settings interface where you can fine-tune these alerts. Check out the new features of 60Hz in the below video. I must say, 60Hz for iPad really feels like a tablet-specific release in its own right. Unlike some other apps that simply stretch up their iPhone interface, 60Hz for iPad really takes advantage of that bigger canvas to deliver an experience which feels smooth and very device-specific, and that’s a good thing. Here, check out a few iPad screenies. I have a few gripes about 60Hz. I would have preferred a more streamlined navigation. Sometimes when one digs deep enough into the sub-menus and content, one might lose track of one’s navigation and a sense of how to get back to the parent view. I would have also reworked some of the confusing navigation icons or even replaced them with the boring but functional labels. But I’m more worried about the oddly implemented alerts. 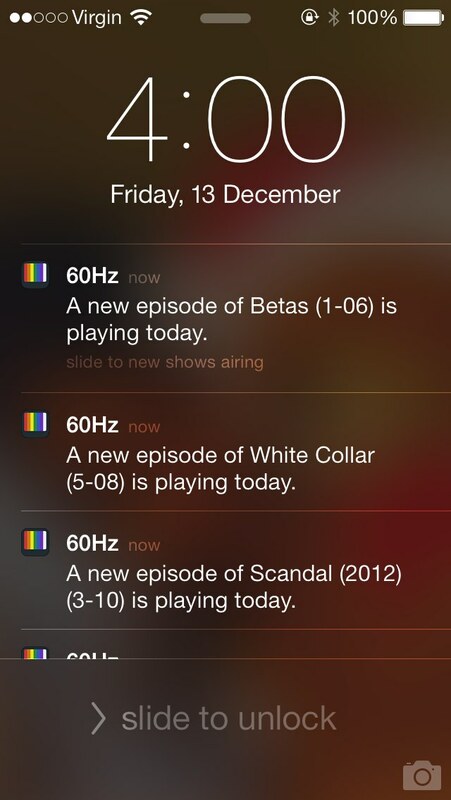 Yes, 60Hz lets me pick the time of the day to receive notifications about shows and set the number of days before or after the air date to receive these alerts. What I really need are additional controls to fine-tune when these notifications go off. Ideally, I would have been alerted, say, an hour or 15 minutes ahead of the upcoming show. I have no use for notifications that go off at midnight or in the morning: by the time my show is due, I will have typically forgotten or maybe even cleared the alert off my Lock screen. That’s obviously something that could (and should) be done and I’m expecting the issue to be addressed in a forthcoming update. 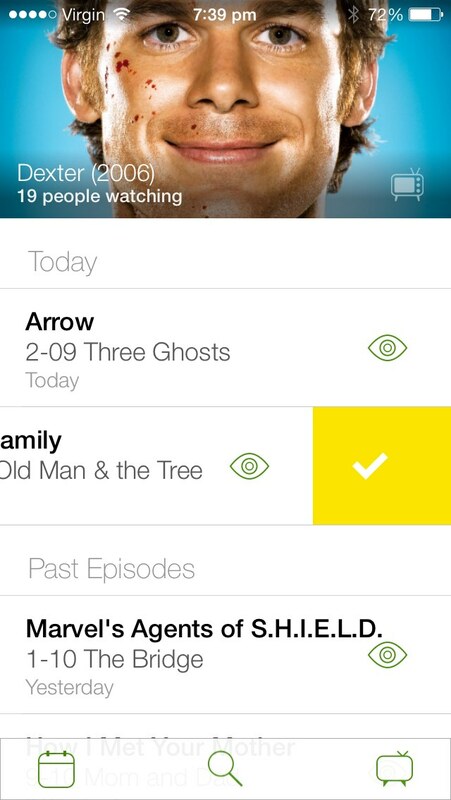 Another biggie: the app will tell you when a show comes on, but not what time or on which network, which kinda defeats the purpose of an in-app schedule. Other than a few minor UI inconsistencies (and perhaps the need for a more streamlined navigation) and half-baked alerts, I have no other major issue with the software. 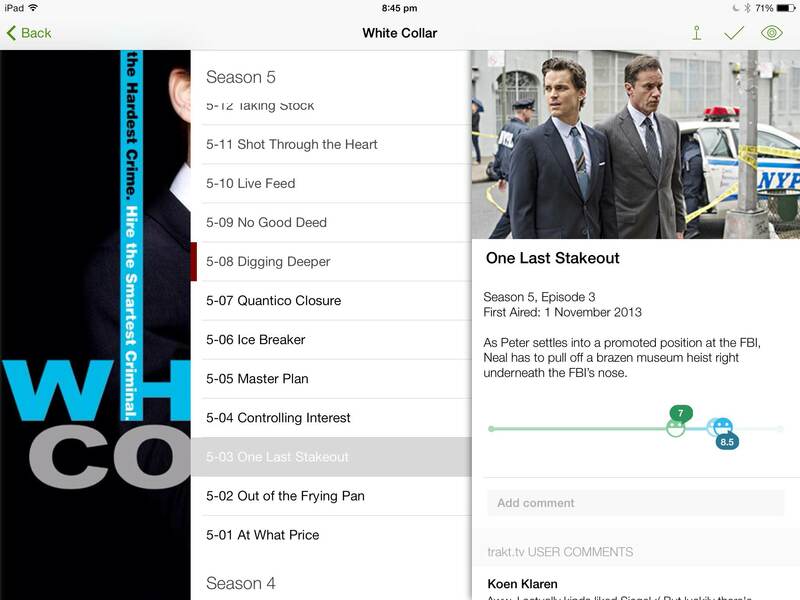 If you watch a lot of TV and want to keep tracks of which shows people are liking, what episodes you missed last week or just discover new shows that are premiering, there may really be no better app for the job than 60Hz. 60Hz is available in the App Store for $1.99 on the iPhone and $3.99 on the iPad. Both editions require iOS 7.0 or newer.